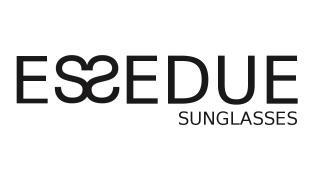 Finely designed sunglasses part of ESSEDUE #StreetStyleCapsule. Eyewear dedicated to women meticulously accurate on the details and to innovative fashion. The Rock model is a real jewel of high quality design. Highly noticeable are the various colours of different shades on the front and internally, thanks to the manual milling and the gluing of two different cellulose acetate sheets. Another peculiarity is constituted by the studs on the front, making the Rockmodel, very impressive. Although the aggressive look, the frame is lightweight and flexible, thanks to its artisanal manufacturing as requested by the Italian tradition.